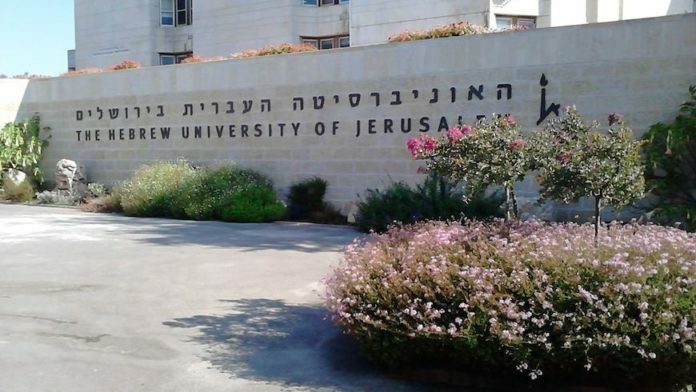 The Zionist organization Im Tirtzu sent letters to dozens of Hebrew University donors, calling on them to not ” stand idly by” while the university continues to provide legal support to Lara Alqasem. Alqasem, former student leader of the virulently anti-Israel and pro-BDS “Students for Justice in Palestine” group, was slated to begin a master’s degree at Hebrew University but was forbidden to enter the country in accordance with the 2017 law barring entry to BDS activists. 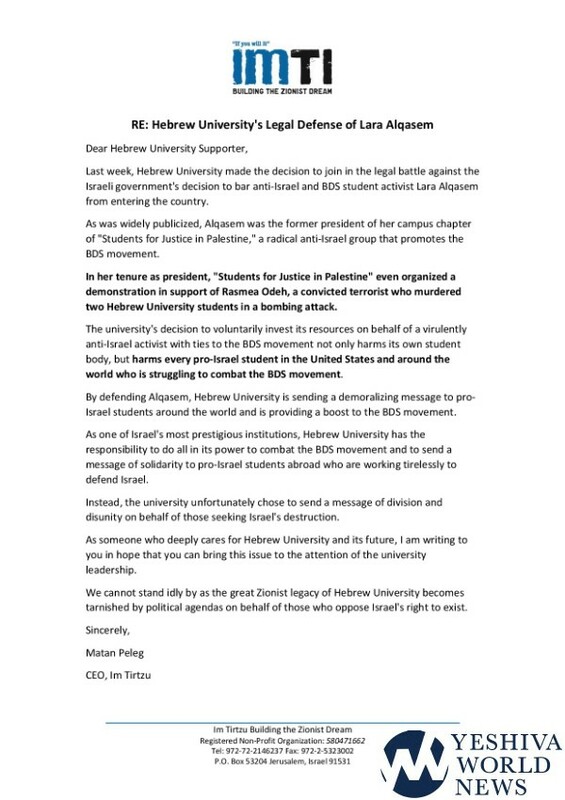 The letter also called attention to Alqasem’s support of Rasmea Odeh, a convicted terrorist who murdered two Hebrew University students in 1969. During Alqasem’s tenure as president of “Students for Justice in Palestine” in the University of Florida, she organized a demonstration in support of Odeh.